Now everyone can learn at iTrain via our 18-month instalment plan! At iTrain, we believe nothing should stop you from sharpening your knowledge, least of all—COST! 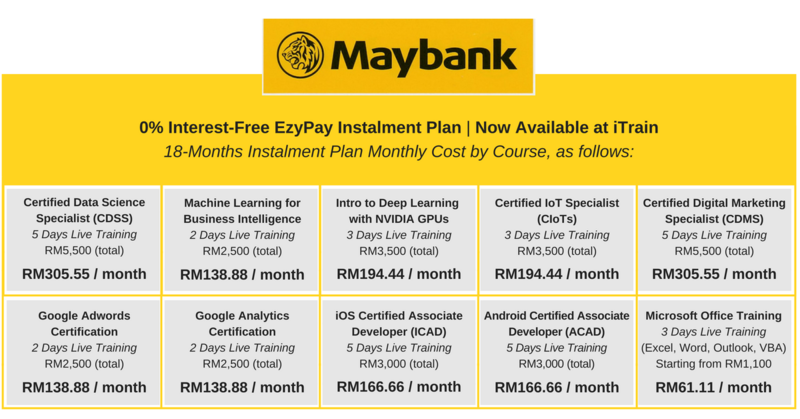 This is why we’re incredibly excited to announce that we’ve recently partnered with Maybank to offer ZERO % Interest-free Instalment Payment via Maybank Credit Cards (American Express, MasterCard & VISA) for up to 18 Months for any of our in-demand Digital Technology Courses. 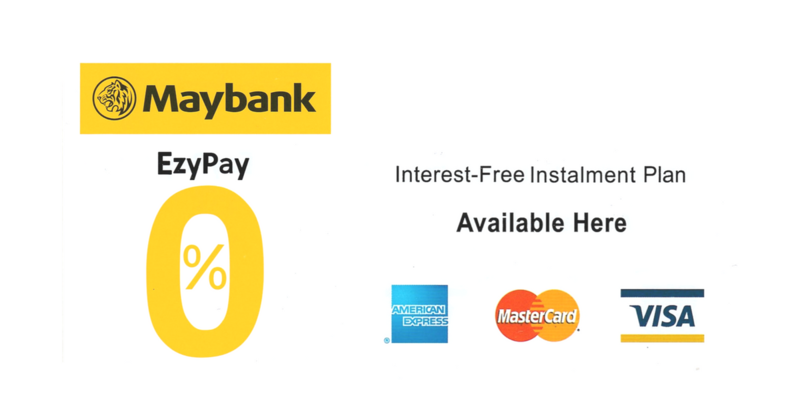 Take advantage of our ZERO % Interest-free Instalment Payment via Maybank Credit Cards today! While all of our professional certification trainings are HRDF claimable, not all working professionals are able to apply for training cost exemption through their HR department, as their organisation may not be registered with the Human Resources Development Fund (HRDF) yet. There are also many business owners, entrepreneurs, startup founders, or even students out there who are hungry to broaden their knowledge or certify their ability in a certain domain, but do not have sufficient funds upfront. Contact our iTrain course consultants at +603-2733 0337 or email info@itrain.com.my to find out more about our training courses that will help your good self or organisation stay ahead of the curve. Here’s a round up of our current Courses & how much the monthly repayment costs per Course! Contact our iTrain course consultants at +603-2733 0337 or email info@itrain.com.my to find out more about our industry-recognized digital technology courses that will help you stay ahead of the curve. Or visit any of the Course page listed above (hover over bulletized course titles above and click the given links) and register your interest directly with iTrain by submitting a quick Enquiry Form via our website.